Say hello to my new favourite! Who could have guessed that blueberries and lemon would turn out to be so great together! My new favourite frozen treat is also extremely easy to prepare: if you can mix together a few cold ingredients in a bowl, you’re almost there! The healthy virtues of blueberries and lemons are plentiful – to name a few, blueberries a highly nutritious and brimming with anti-oxidants. They also contain a lot of pectin – nature’s own vegetable version of gelatin – which will help to give our ice cream a nice consistency. Lemons contain a lot of vitamin C and is thus also a good source of anti-oxidants. Most people have probably heard the story about how the British Navy introduced citrus rations to combat scurvy which used to plague long-haul sailors of older times (and leading to the establishment of the nickname “Limeys” for Brits). For the blueberries, I opted for a good-quality jam. 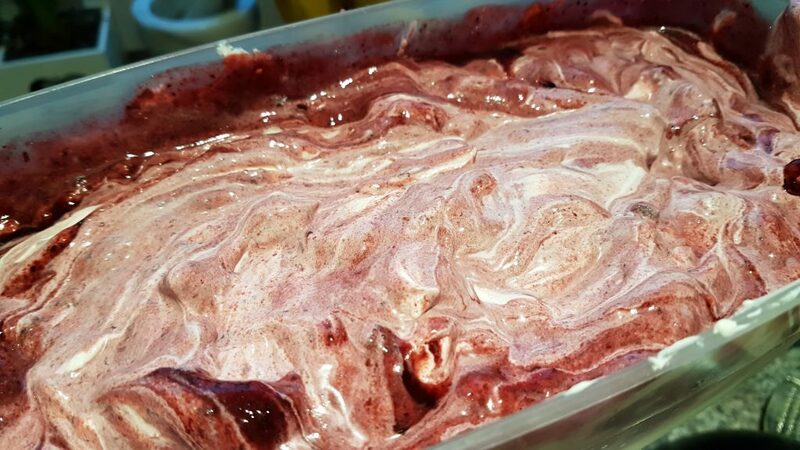 The use of jam in ice creams has been described in an earlier post, and I deemed it perfect for this occasion: as the blueberries will be rippled into the ice cream, they need a certain fluidity. If using fresh berries, you would therefore need to mash and mix them with a sugar syrup and cook it all together somewhat – in other words, you would basically end up with (some kind of) jam anyway. When choosing suitable ice cream base frame for these flavours, I decided on a Mascarpone base which I figured would go nicely with particularly the lemon. 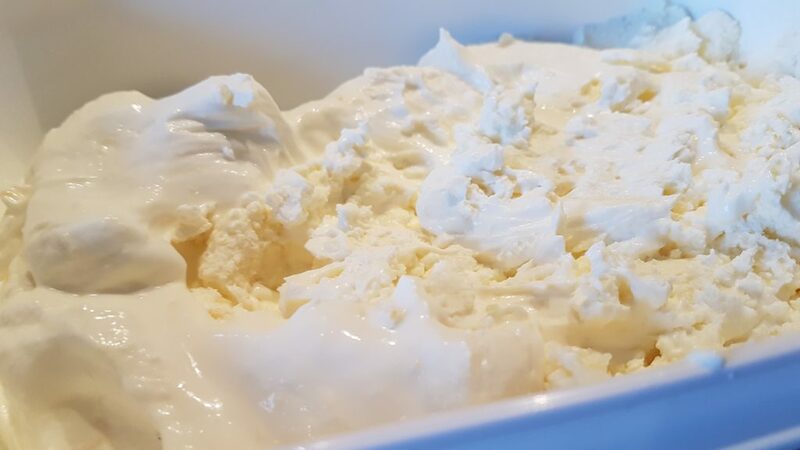 This Italian cream cheese is also extremely well suited for ice cream making, and has figured here on Ice Cream Nation before (then with strawberries). 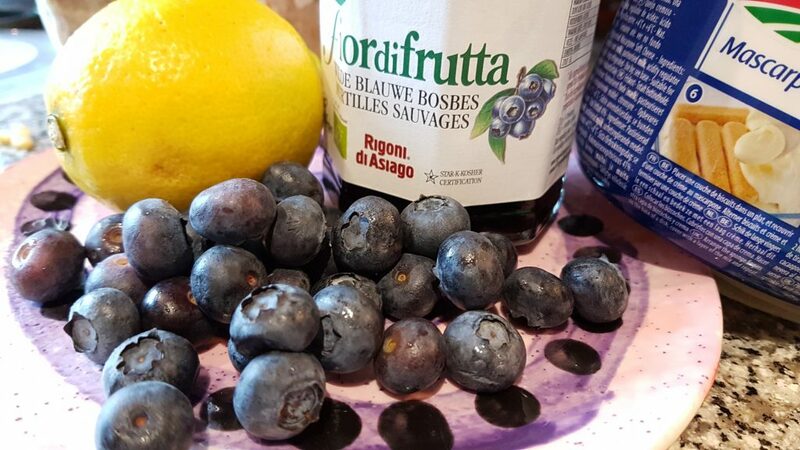 The three key ingredients – lemons, blueberry jam and Mascarpone cream cheese (the fresh blueberries are just for show – if you would like to add them, I would suggest you go for dried blueberries rather than whole fresh ones. The Preparation: start by making a lemon mascarpone base! As noted, making this ice cream is extremely easy – all it takes is basically mixing a number of cold ingredients together. 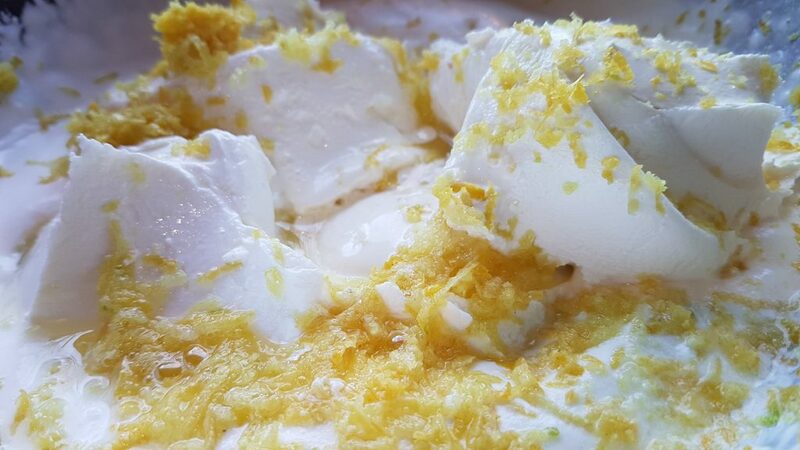 For the lemon mascarpone base, all you need to do is to put the mascarpone in a bowl and add all the lemon zest, the juice of one of the lemons, the sugar(s). 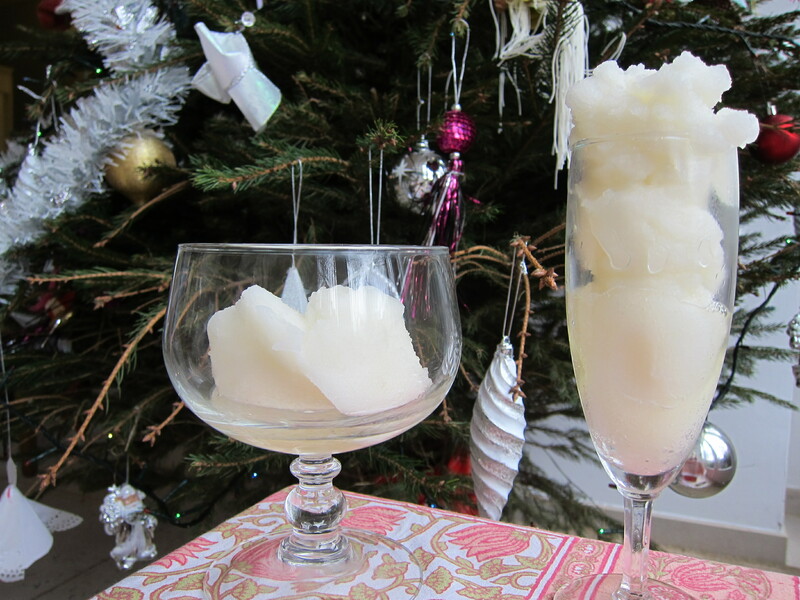 To add some extra air to the ice cream, I would suggest that you whip the cream before adding it (soft tops should do). As for the caster sugar, you need to calibrate the amount based on how much sugar your blueberry jam will provide: the total amount should be around 225 gram (excluding the inverted sugar which we’ll add to improve the consistency and sweeten things a bit further). In my case, the amount of jam I used contained about 100 gram sugar: as the total amount for this recipe should land around 225 gram, I therefore (225-100 = 125) added 125 gram caster sugar to the mascarpone base. 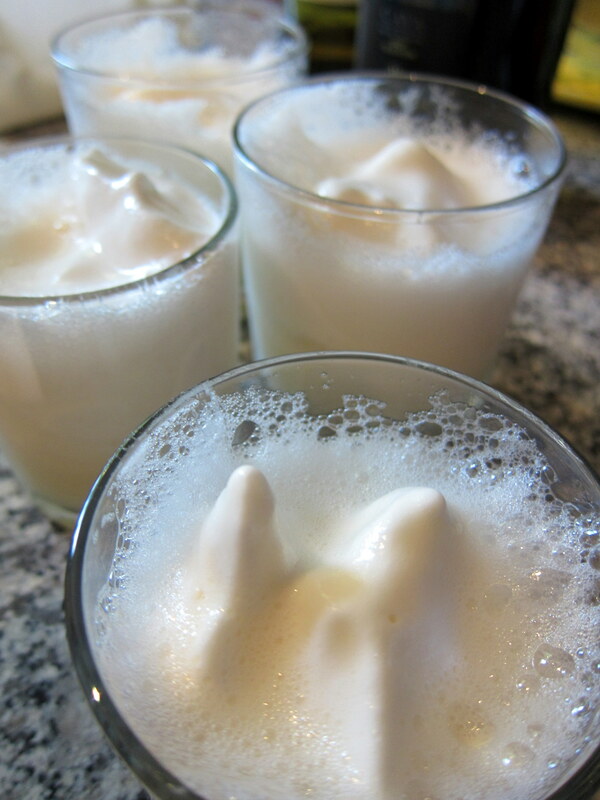 By the way: if you would like to reduce the total amount of caster sugar, consider replacing parts or all of it with xylitol (Birch sugar) – if anything, your ice cream will be turn out even better for it! Both beautiful and promising, the soft peaks of mascarpone and cream, decoratively adorned with the lemon zest, awaits the final steps. Add the blueberry, ripple and finish! Since we use a ready-made jam, preparing the blueberry ripple is super-simple: just take the jam and add the lemon juice (1 lemon’s worth)! When the lemon mascarpone base has firmed up but not quite finished churning, place it in a freezer-safe container and pour over the blueberry jam-mix. Just pour the jam-lemon juice mix on top of the lemon mascarpone ice cream base – once there, we will ripple the jam into the ice cream by simply swirling around a bit with a fork or something similar. To create a ripple effect – take a fork or a knife and move through the ice cream-jam a few times. The jam has been rippled into the ice cream base, and we are almost finished. Just put the lid in the freezer and let it all settle and firm up a couple of hours or so. 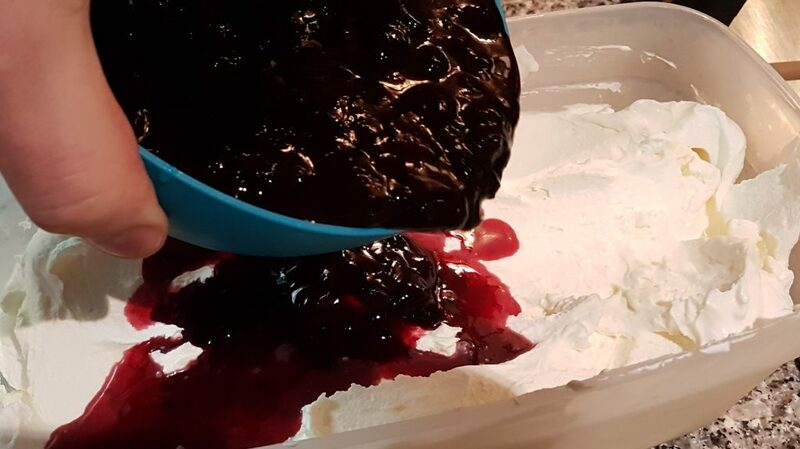 Just don’t overdo the swirling as you might risk to whisk the jam “too well” together with the ice cream base – the “blueberry lines” should still be clearly visible in the final ice cream. The verdict – a truly great ice cream! 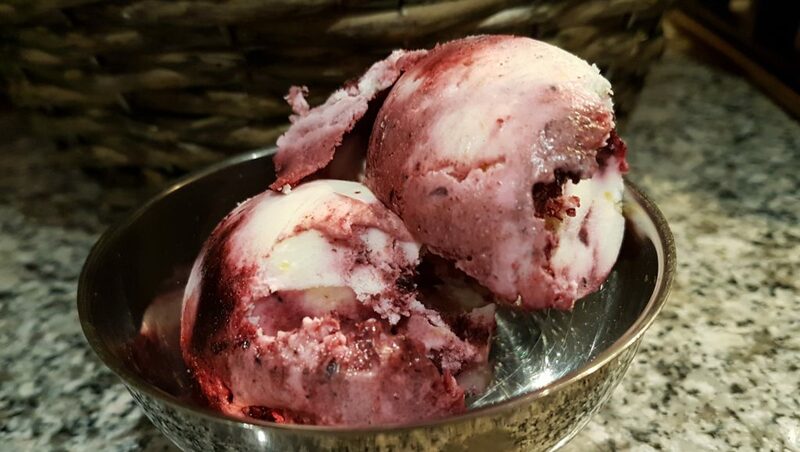 Blueberry Lemon Mascarpone ice cream – ready to be enjoyed! Yes – a new rippled favourite! Even if I had high expectations for this ice cream, the final result exceeded them! 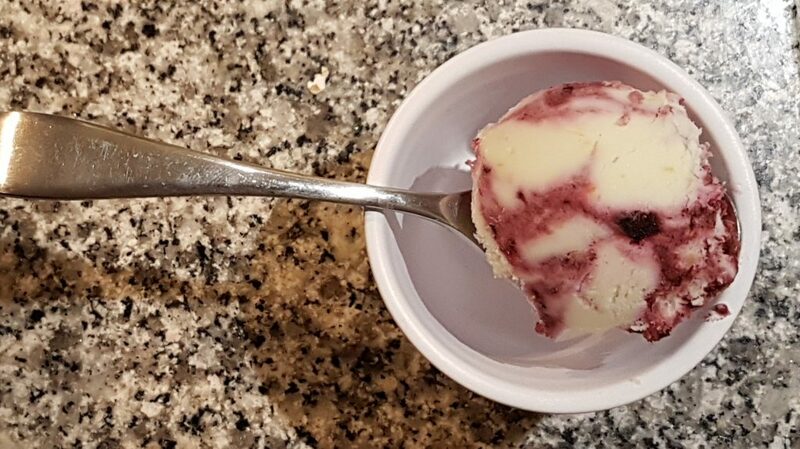 The yummy blueberries rippled into the smooth, rich lemony mascarpone base combined into an ice cream that turned out to be incredibly delicious. The rest of the family (by now very discerning when it comes to ice creams) also loved it and offered their highest mark of approval. Since this frozen treasure is so extremely easy to make, just grab some Mascarpone, a couple of lemons and a jar of blueberry jam and go boldly ahead: You won’t regret it, and neither will your soon-to-be bedazzled loved ones! 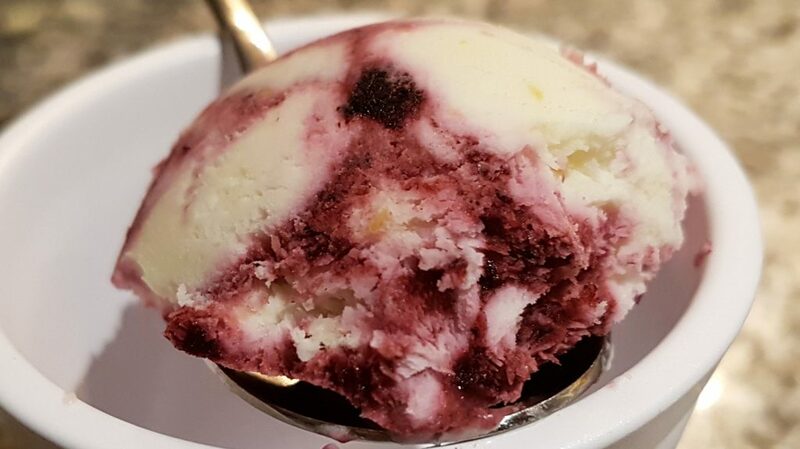 The Mascarpone lemon base provides a smooth and perfect frame for the blueberry ripple, establishing a truly delicious ice cream combination guaranteed to please! Whisk well, to ensure that the Mascarpone cheese is well distributed. 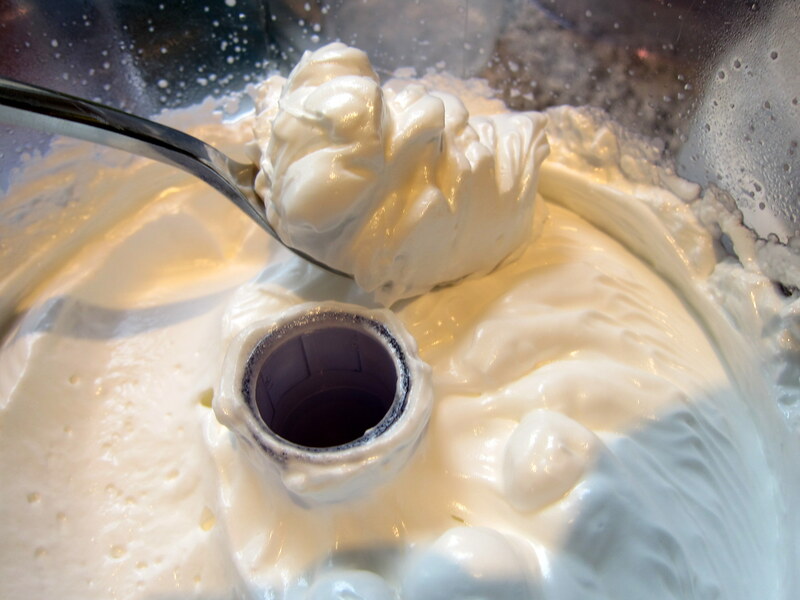 Churn in your ice cream machine according to instructions, or (without a machine) still-freeze in your freezer (see the post on making ice cream without an ice cream machine for good advise on how best to do this) until firmed up but still not finished. While waiting for this (or earlier still) prepare the blueberry jam for rippling: add the remaining lemon juice (1 lemon's worth) to the jam and mix well. When the ice cream base is firm but not fully finished, put the base in a freezer-proof container. Ripple in the blueberry jam-mix, cover the ice cream with plastic film and lid and store in your freezer until firmed up (about 1-2 hours or so). In case you consider the amounts of total sugar too high for you, consider replacing at least half of the sugar with xylitol (birch sugar).